The Bureau of Land Management is issuing a call for public nominations to fill three positions on its national Wild Horse and Burro Advisory Board. Nominations are for a term of three years and are needed to represent the following categories of interest: public interest, wild horse and burro advocacy, and veterinary medicine. Nominations may be submitted by e-mail to Dorothea Boothe, at dboothe@blm.gov. To send by U.S. Postal Service, mail to the National Wild Horse and Burro Program, Department of the Interior, Bureau of Land Management, 1849 C Street, N.W., Room 2134 LM, Attn: Dorothea Boothe, WO-260, Washington, DC 20240. 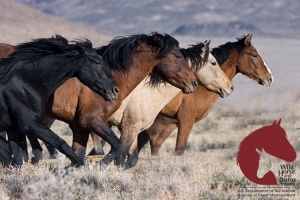 To send by FedEx or UPS, please mail to the National Wild Horse and Burro Program, Department of the Interior, Bureau of Land Management, 20 M Street, S.E., Room 2134 LM, Attn: Dorothea Boothe, Washington, DC 20003.